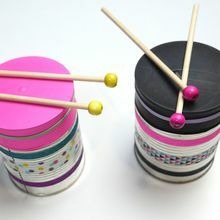 This easy to make decorative drum can be made with just a few items and material you can find around the house. This is a fun idea for a [birthday] celebration craft idea that all the guests can enjoy making and playing with. 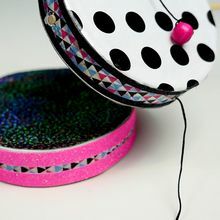 Watch the step by step video to see how to assemble your decorative drum. 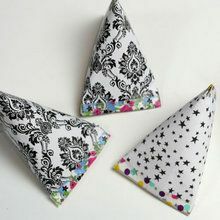 A fun idea to celebrate birthdays, New Years, [Chinese New Year], [Carnival] or the Fouth of July. Let's get started! Cut the bottom stem portion of the balloon. 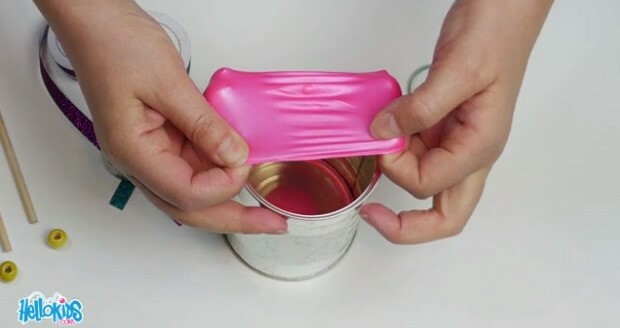 Stretch the balloon over the top open side of the can. 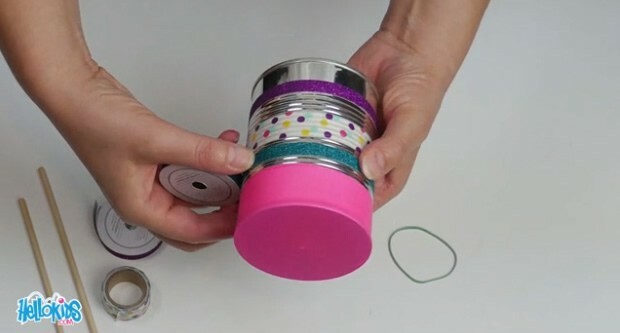 Take the 1 inch decorative ribbon tape and place a strip around the middle of the can. With the 1/2 inch decorative ribbon tape adhere a strip above and below the 1 inch strip. Use the same color ribbon or different colors. Secure the balloon covering the mouth of the can with a rubber band to be sure the balloon does not come off. Finally, take your two dowel rods and two beads, and fasten the beads to one end of each rod. This creates your drum sticks. Now you are ready to drum a beat! 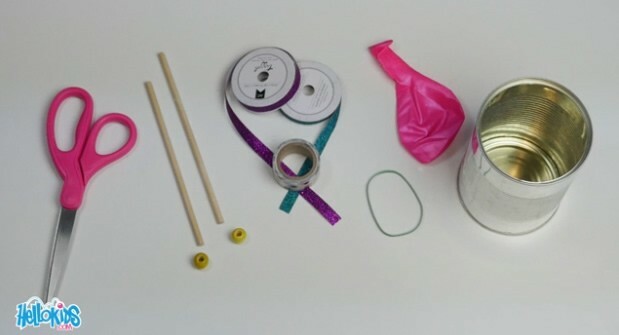 If you like this fun activity check out the Rattle-Drum and Confetti Cannon by clicking [Birthday]!